1 x 2m cable to power up to 7600 LED's .. Product Description• 2 Connection Ports.• Black Cable.• &nb.. Product description 8 connection port.. Powers up to 200 LEDs, Up to 8 weeks’ running time (on Timer-Twinkle), Built-in memory chip & 6 .. 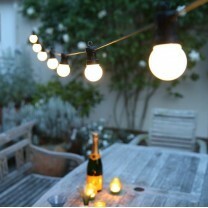 Powers up to 400 LEDs, Up to 8 weeks’ running time (on Timer-Twinkle), Built-in memory chip & 6 .. Powers up to 200 LEDs, Up to 8 hours’ running time (On-Twinkle), Rechargeable batteries included, Pe.. Powers up to 600 LEDs, Digital 31V transformer with and 8 functions, Memory chip & 6 hour timer .. Powers up to 1600 LEDs, Digital 31V transformer with and 8 functions, Memory chip & 6 hour timer.. Powers up to 4000 LEDs, 4 ports, 1000 LEDs per port Digital 31V transformer 8 functions&nb..